Today’s author is a tenured scholar who has asked to remain anonymous. I am a tenured scholar at a research one university in the South and much of my career so far has been in southern US states. Most people believe I have had a charmed academic life, as I am part of a generation of academics who experienced a major shift in perspective when the recession hit in 2008, the job market all-but collapsed and the humanities went into a downward tailspin that we are still, desperately, trying to stop. While many graduates of my cohort settled for jobs outside academia after several failed bouts on the job market, I began my academic career right out of graduate school and—at least from afar—seemed to effortlessly make my way to tenure at a leading institution in the Southern USA. Of course, these words are never actually spoken, or written down, and what this “us” purports to mean exceeds the realities of skin pigmentation, facial features or ethno-cultural background. They are experienced in conversations about prospective graduate students or job candidates of color who are repeatedly deemed “unworthy” of our esteemed department or university. They are felt in the demeaning of current graduate students of color who are mocked for their laziness, lack of intellectual sophistication and intelligence. They resound loudest in the alarming resistance to the most mundane of diversity trainings—a short PowerPoint presentation on implicit bias—or in the categorical refusal to consider the possible benefits of a racially and ethnically diverse academic cohort. Diversity is a chore, a recent American fad to contend with, a foolish game of numbers that must be played with enough strategy and guile to outsmart those who naively believe in its non-existent virtues. Drilled into this mentality is an honest belief that academic brilliance has no color, no race, no ethnicity, no gender, it just simply is, or is not, and if some groups of people have the deck stacked against them, it is not academia’s problem to fix, especially not at the level of its faculty. I am thus most often complimented by my colleagues for my hair, my dress, my jewelry and my style rather than my intelligence, my latest article or my published book. My scholarship is rarely recognized in public forums while that of my white colleagues is showcased, celebrated, discussed over and over again. My tenure dossier was examined three times before I was allowed to submit it, and I was warned that I made myself look too good at times and that I should downplay some of my achievements. I was sarcastically told that I mastered the art of “marketing myself” and even graduate students began whispering that my tenure case was probably guaranteed by the color of my skin. Micro-aggressions have come in the form of emails denigrating a speaker of color I invited to campus, or in evaluations that condescendingly praise my popularity with the undergraduate student body. My time and effort mentoring students of color is consistently overlooked in departmental reports, and no one credits my presence in the department as the source of greater diversity among our undergraduate majors and minors. In fact, the increased diversity of our undergraduate population is repeatedly attributed to a diversified choice of courses and structural changes to curriculum, while my courses consistently attract more students of color than those of my colleagues. As most female academics of color, I have taken on every service-related task that was requested of me, changed my schedule and plans to suit those of my senior colleagues and even volunteered myself for the committees no one wants to sit on. 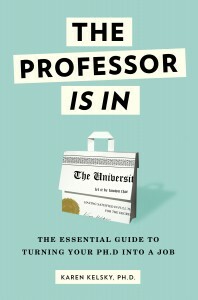 I have even given countless hours of my time to mentoring the neglected graduate students of other faculty members. In many ways, I am the typical work-horse profile one reads about in every Chronicle of Higher Education article or Professor is In blogpost about the lower rungs of the professional academic hierarchy. Except that I do all of this while navigating the turbulent waters of micro-attacks on my person, my intelligence and my academic worthiness on a regular basis. Over seven years, this has indeed taken its toll: I dread my office and our departmental meetings, fear passing by certain colleagues in the hallways, and when forced to confront them, silently await the daggers that they will invariably shoot at me before the day is done. And all this, so they can return to their beds at night smugly congratulating themselves for hiring a person of color despite their better judgement I presume, for the sake of the diversity of their department and university. Suffice to say, since my hiring, there have been no other persons of color hires in my department. I am thus the proud token minority candidate that adds color to our webpages. Tenure as a female academic of color in a mostly white institution in the South thus comes with a renewed mandate for me, to dig my heels in and work towards changing a system from the ground up. What is certain is that no amount of diversity training will improve my daily slalom avoiding micro-aggressions, but my presence in my department and my institution ensures that there will be a constant encounter with diversity, whether certain of my colleagues like it or not. Tenure bestows upon me and my work something that can no longer be taken away or threatened by those around me. As I begin to travel the country and the world giving talks and sharing my work, I feel my self-worth returning for the first time since I was a graduate student. Though the physical and emotional exhaustion of navigating a daily ritual of racist and prejudicial comments may not cease, I am committed to the hard work ahead of me to be a locus of change in a departmental and institutional culture of explicit bias and implicit discrimination. I have long fantasized about a time when I will no longer greet the prejudicial comments of my colleagues with a hurt smile, or bowed head, tearing up behind closed doors or in a bathroom stall. I have dreamed of lashing out in anger, putting people in their place, responding with sarcasm and personal affronts. And then I remember, the history of the Deep South, the struggles of so many black female thinkers before me, and the wisdom that only oppression can put into words. This is a first effort to articulate those experiences, thoughtfully, eloquently I hope, with no fingers pointed, in hopes that I can be part of something new for all academics of color and especially the young women to come. Wow, thank you so much, Prof. Deep South – for this article, for your endurance and commitment to your long-term goals, for your patience, fortitude, integrity, and generosity. Thank you for being the role model that we all need, from student to senior colleague. I will think of your struggle when I am tempted to ignore or excuse inconsiderate behavior and comments, and think about what more I can do to make my little slice of academia a more welcoming place for everyone, even though given my rank and title I have less official power than just about any other faculty member. But neither am I on the bottom-most rung, in the larger sense, as these things go.